Is This The Most Offensive Golf Course Ever Built? 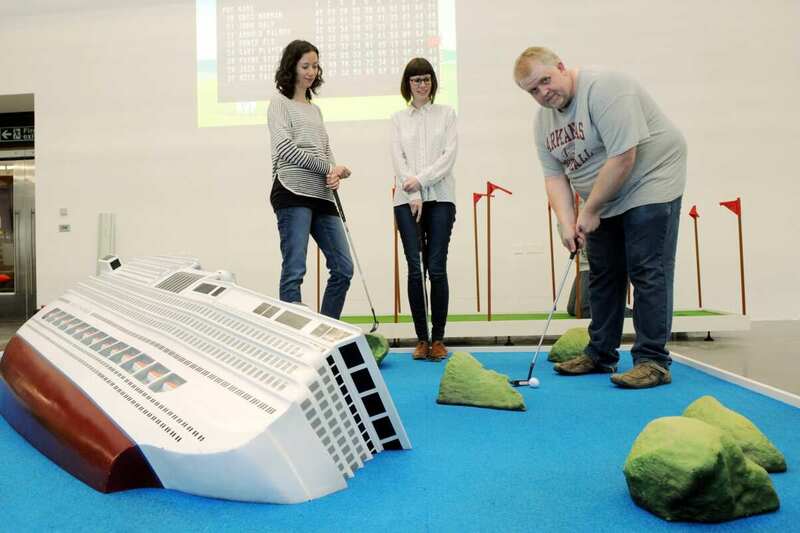 A deliberately offensive crazy golf course, featuring the sunken Costa Concordia cruise ship, has been called a ‘disgrace’ by angry parents. 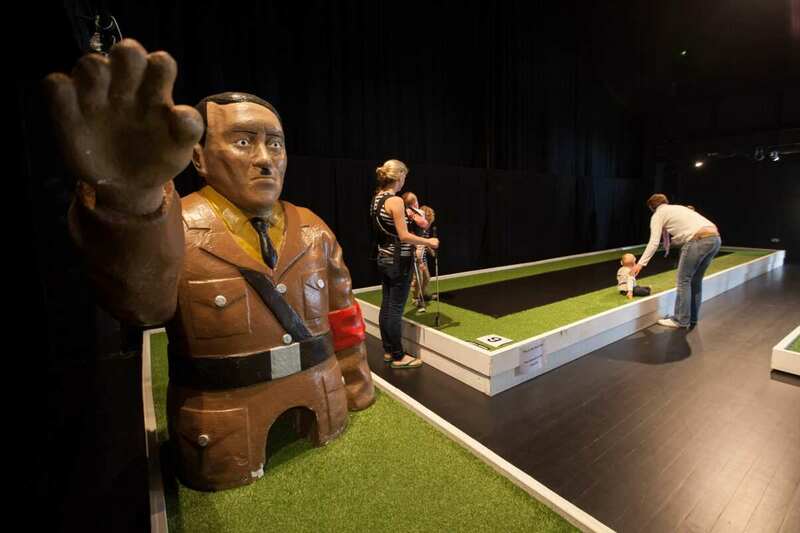 The nine-hole indoor course is called Leisure Land Golf and features a number of ‘offensive’ obstacles including the Costa Concordia ship on its side, a black man awaiting execution, and even an Indian man pooing out a ball. 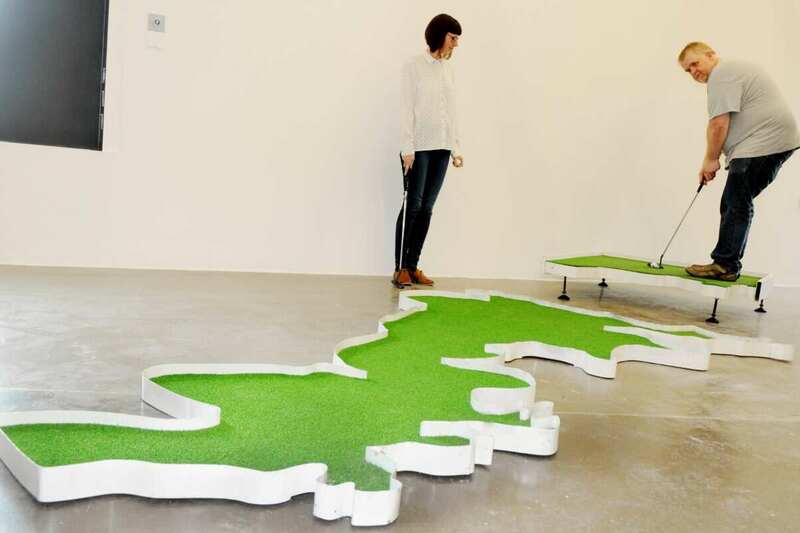 The final hole, called ‘Life Raft’, was designed by artist Ellie Harrison and challenges players to knock ‘immigrant golf balls’ from France across the English Channel into the UK. The course is the work of artist Doug Fishbone, who claims the sunken ship hole ’embodies the messy contradictions’ of capitalism, and he’s charging £2 for families and young kids to come and play. Parents are of course fuming at the situation with one calling it a ‘disgrace’, labelling it ‘sick’ and ‘wrong’. I think it’s really twisted. I’m taking my kids on a ferry to France in the summer, the last thing I want them to see is a model of a ship which sunk and left 30 odd people drowned. For the organisers to say it’s ‘funny’ is just outrageous and deeply insulting to those who died. 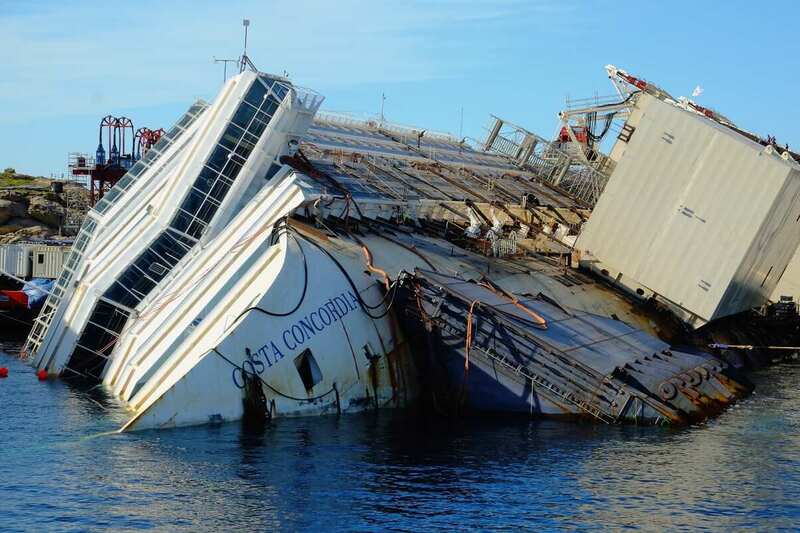 The real Costa Concordia killed 32 people when it sank after hitting a rock off the coast of Italy. However, Peter Bonnell, senior curator at Quad, Derby, defended the exhibit saying that the course has a deeper message than just fun. The course is great fun for kids but has a deep message. Each hole has a message and the Life Raft by Ellie Harrison is very current with its topical message about immigration. Not all parents are offended by the course though, with one saying he doesn’t think anything should be off limits, before adding he didn’t think it was disrespectful to get kids thinking. This isn’t the first time that Fishbone has offended with a golf course – back in 2012 he created a model Hitler which performed a Nazi salute and shouted ‘nein nein nein’ when players putted the ball.